UPDATED FOR 2018: To view scholarships and awards only available to BCHS students Click HERE and you will view our Spring 2018 Awards Booklet. Please Review the information below and then Click HERE to enter the BCHS Scholarships Database. The information on the database was accurate at the time of its creation and subsequent verifications. It is a student responsibility to double-check all information for accuracy. 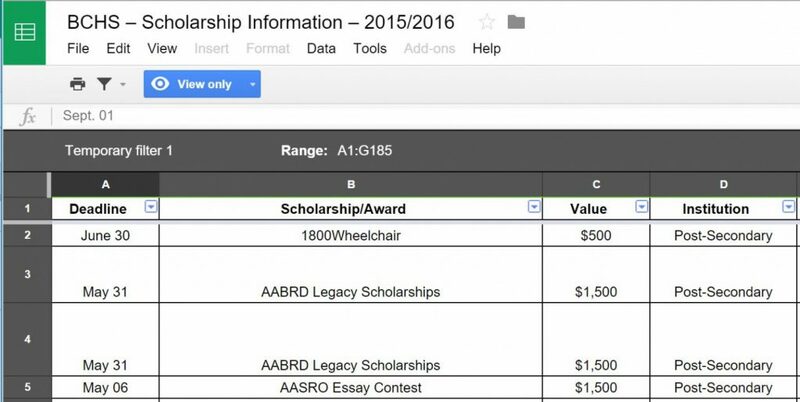 Additionally, students should peruse each of the links indicated as not all scholarships have been listed on this chart. 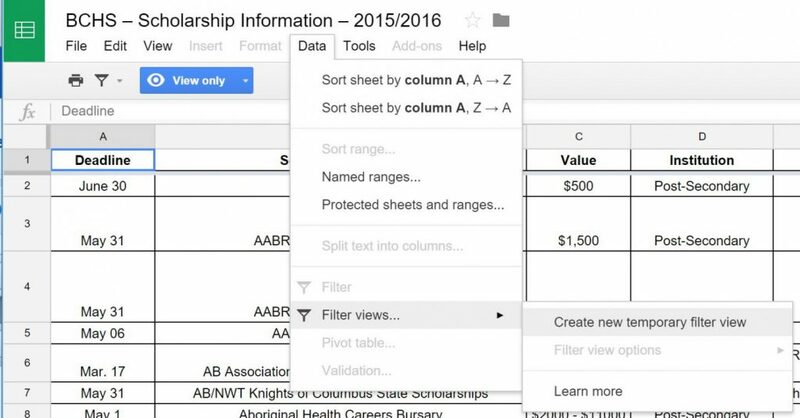 There are 2 categories to look at once you use the preceding link; Alberta Scholarship Programs (ASP) or Scholarship Connections (SC). The category in which the scholarship is located has been typed in each application box. Do not be put off by the deadlines. Some deadlines occur after you have already started your post-secondary studies. (These are usually, but not always, those with Aug. – Oct. deadlines. Check the websites for specific details). The dates indicated may not be accurate. It is the responsibility of students to double-check all dates for accuracy. You may scroll through the Database; however, to sort the Database, or to limit what you see to information that is useful to you, please use the features found under the “Data” drop down menu. and explore the options under the little triangles beside each heading name.